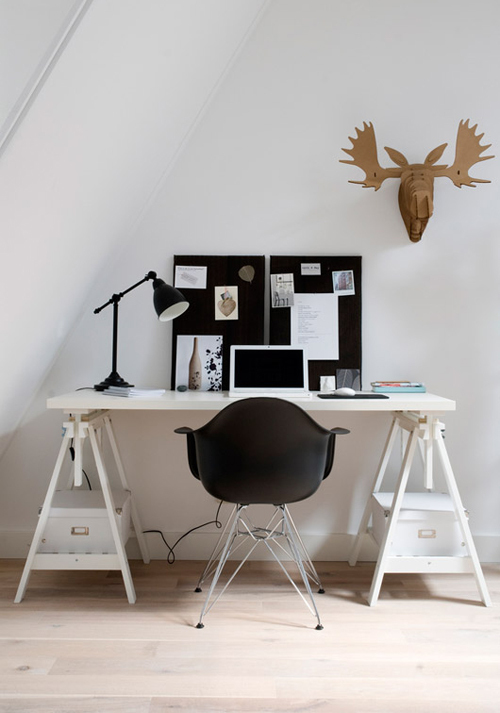 Today’s post is about workspaces. 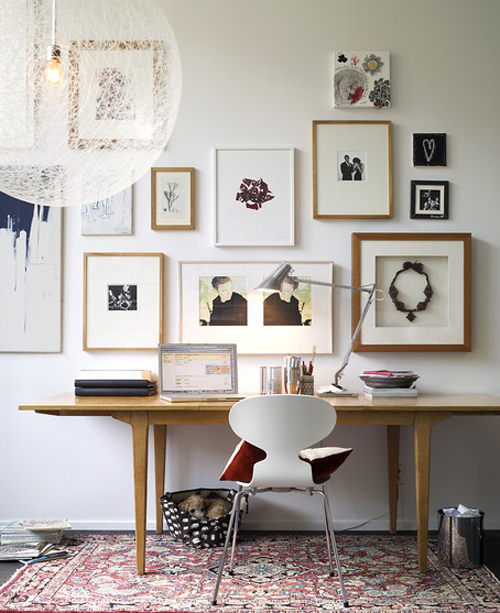 Some are small, some are large, some are very well organised and others are eclectic but they are all inspiring! 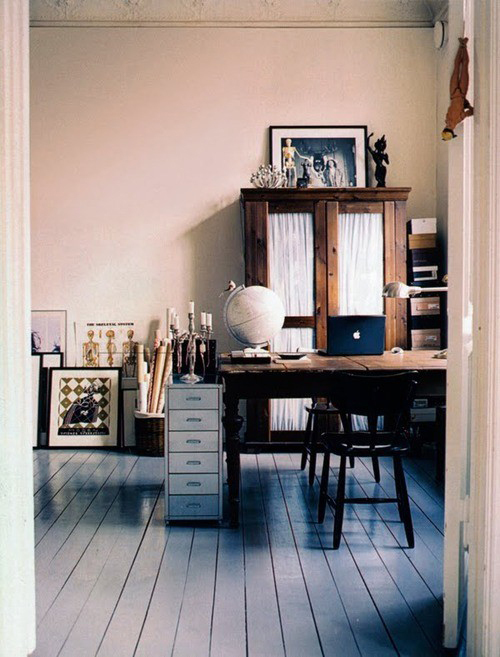 The stunning workspace above is Jantine’s office. I love the use of text on the wall. Image is from the portfolio of Petra Bindel) – thanks Down and Out Chic! 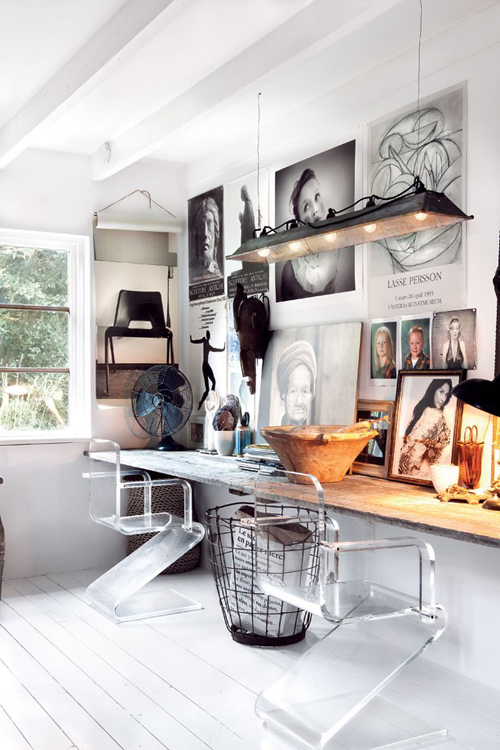 This is the study in interior stylist Jo Carmichael’s home in Sydney (image via The Design Files). Image from the portfolio of photographer Patric Johannson. 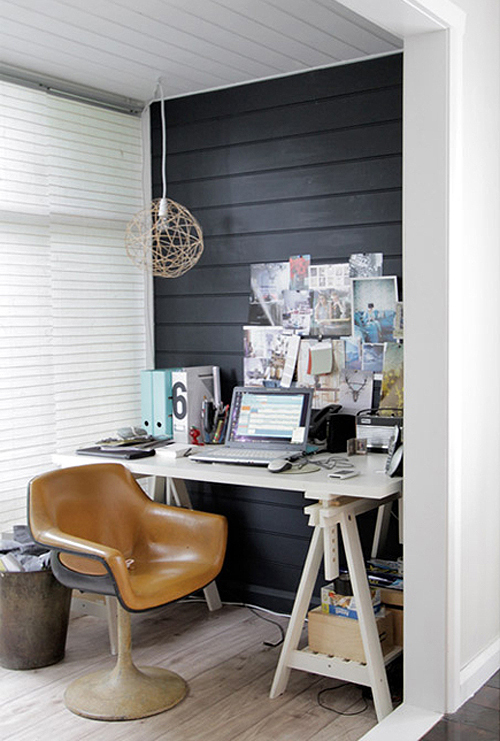 All these workspaces are so chic and charming. 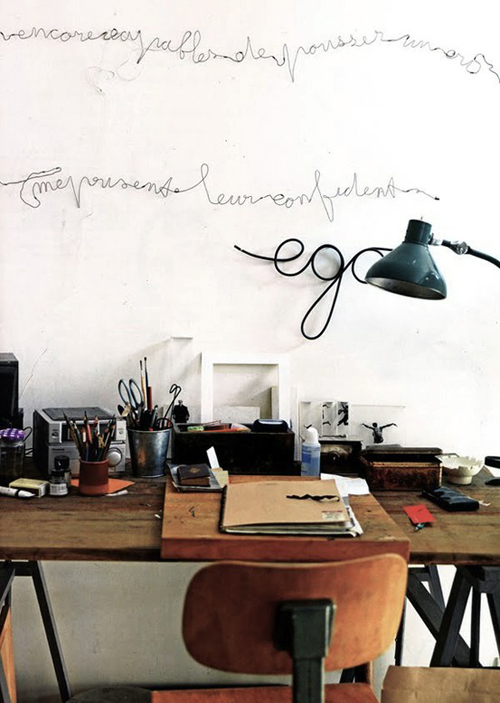 I also like the workspace with the text on the wall, it’s not something you see everyday. i think the image appeared in Elle. it’s definitely a favorite workspace of mine! Very inspiring! Image 6 is my favourite! Mooi al die verschillende werkplekken. Great images. 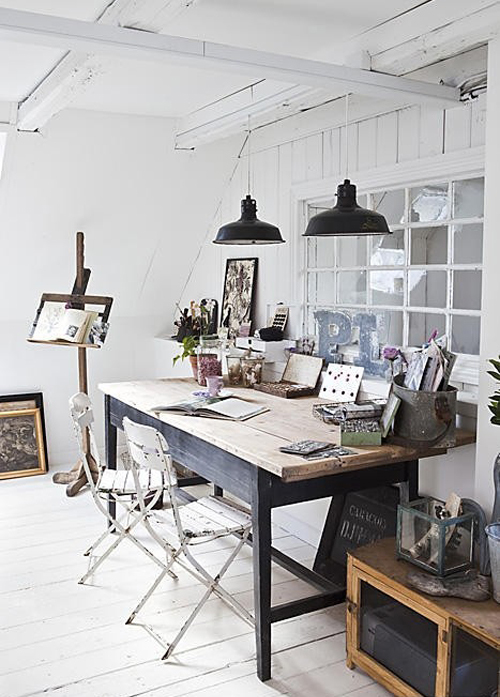 Especially love the mix of rustic and modern! Ah, great post, love the pictures, very inspiring! I love that 6th one. I love work spaces that don’t look like work spaces. heerlijke inspiratie voor mijn eigen werkplek in het kippenhok straks! however, I must be the only one who cannot stand facing a wall…….my drawing board faces the other way….with my back to the wall. Wow Chris these are beautiful!